Sure, we were dubious at first, when KFC offered $11,000 (in honor of its signature chicken’s 11 herbs and spices) toward the college fund of a baby named after chain founder Colonel Harland Sanders. The baby would have to be born on September 9, Sanders’ 128th birthday, legally named Harland, and entered into the contest before October 9. The contest was apparently inspired by KFC’s despair over Colonel Harland Sanders’ moniker disappearing from the maternity ward. 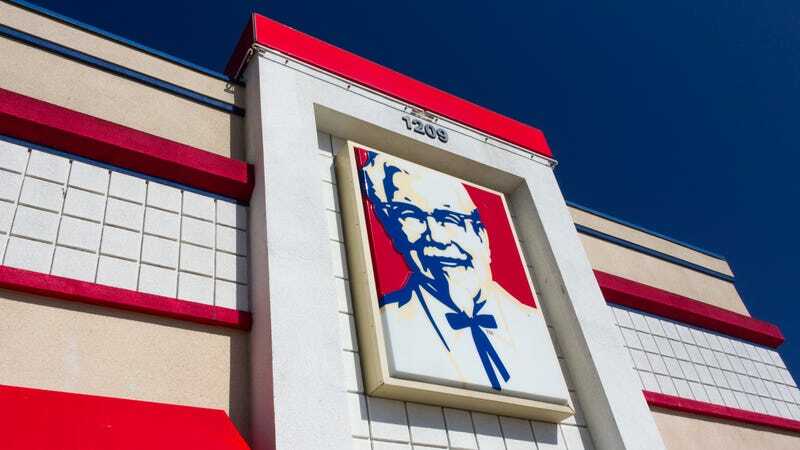 According to The Lexington Herald-Leader, “Andrea Zahumensky, the chief marketing officer for KFC, said ‘we couldn’t just stand idly by’ and let their founder’s name dwindle in popularity. Turns out, North Carolina couple Anna Pilson and Decker Platt took KFC up on its offer, naming their 8-pound, 21-inch baby girl Harland Rose. Gotta say, that doesn’t sound nearly as bad as we were expecting. Look at that cute baby; the name totally seems to fit that teeny southern girl.